Jed DeWick is a Partner and Co-Founder of Arrowood LLP. He is a litigator and trial lawyer who has successfully tried cases on behalf of businesses and individuals in federal and state court, as well as before arbitration panels of the American Arbitration Association and the Financial Industry Regulatory Authority (FINRA). Jed’s broad range of experience in complex and high stakes civil litigation includes cases involving claims of breach of contract, breach of fiduciary duty, misappropriation of confidential information, unfair and deceptive trade practices, violations of the Massachusetts Wage Act, violations of non-compete provisions, wrongful termination, and disputes regarding executive and partnership compensation. 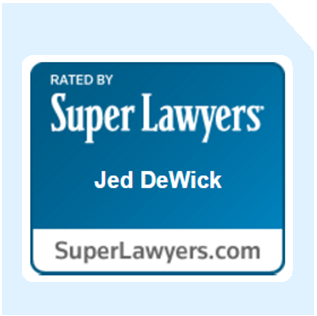 Jed has also successfully represented clients in wrongful death, catastrophic injury, and medical malpractice lawsuits. Jed is admitted to practice in Massachusetts and in the United States District of Massachusetts. He is a member the Massachusetts Bar Association, the Boston Bar Association, and the American Bar Association. In 2013, he was appointed to a one-year term as Chair of the Massachusetts Bar Association Civil Litigation Section Council. Jed is also the author of the chapter on summary judgment practice in the LexisNexis Practice Guide: Massachusetts Civil Pretrial Practice, and has participated on CLE panels concerning trial practice. 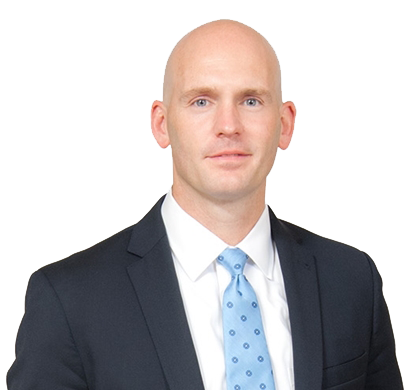 He was named to the “Rising Stars” list by Massachusetts Super Lawyers each year from 2006-2014, and to the Massachusetts Super Lawyers list in 2015 and 2016. Jed is a graduate of Brown University and Boston College Law School. At Brown, Jed was a captain of the varsity lacrosse team and a two-time Division 1 All-American. Prior to founding Arrowood LLP, Jed was an associate at the Boston litigation firm of Todd & Weld. Named to the Massachusetts Super Lawyers “Rising Stars” list each year from 2006-2014. Selected to the list of Massachusetts Super Lawyers in 2015 and 2016 .